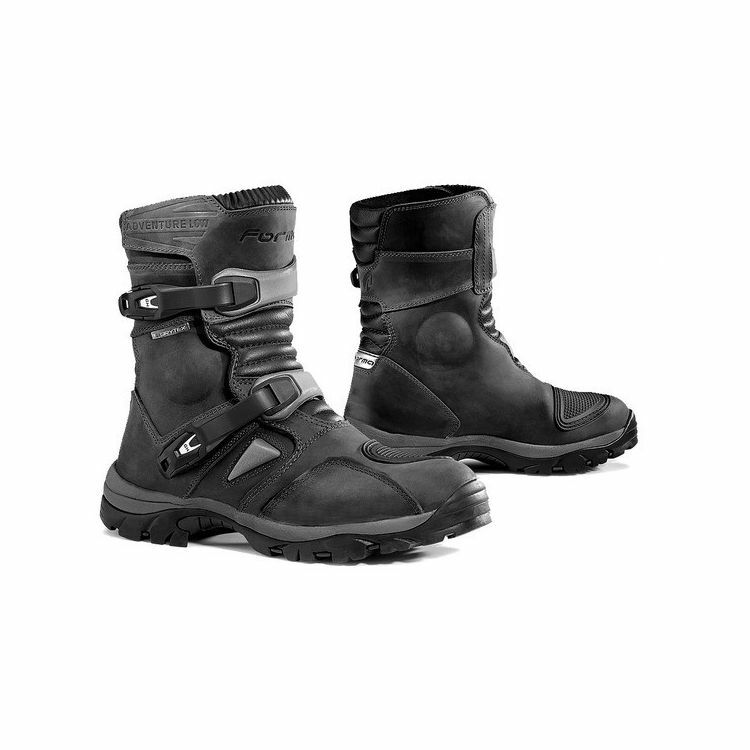 The Forma Adventure Low Boots are perfect for adventure touring riders with larger calves. Equipped with a vintage leather finish and Drytex waterproof/breathable lining, the Adventure Low Boots keep your feet dry without limiting range of motion. The double density sole offers superb grip on the bike and gives riders a comfortable and grippy surface to walk on when off the bike. Integrated TPU inserts and reinforcements provide protection from impact injuries and unbreakable GH plastic buckles ensure you won't be sidelined if you have a tip over.